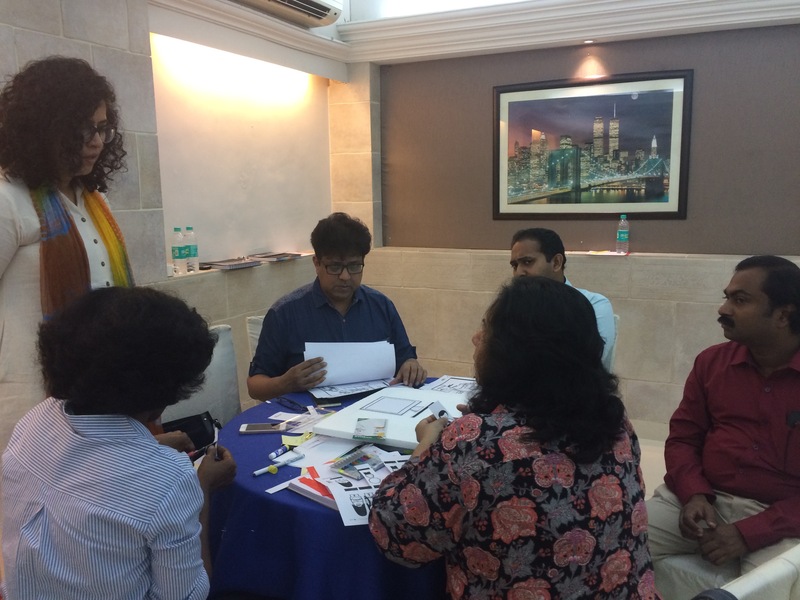 How to instil creative problem solving skills through Design Thinking in the members of the Leprosy Mission Trust, while they regularly engage in working for the upliftment, care and inclusion of the marginalised segments in our society? The Leprosy Mission Trust India works closely on ground with leprosy patients, their families, and with other marginalised segments of the society, providing medical care and vocational training so they can engage more effectively with the society at large. The everyday work of all members associated with the Mission involves constantly confronting stigma and empowering patients with hope and belief, in addition to providing solutions for their lives; and in this process, they encounter many human centred challenges. 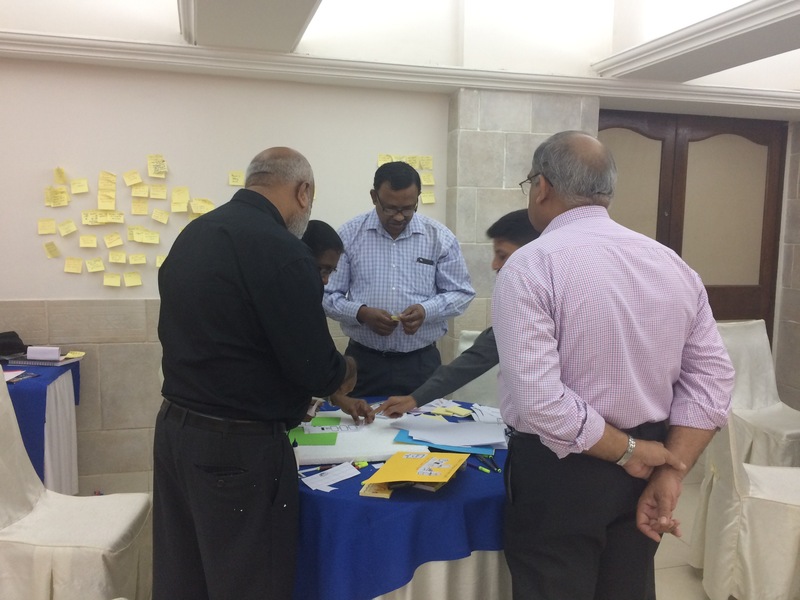 The Mission Leadership encountered the process of Design Thinking in their quest of finding something new to help the Mission's aim and realised that the fundamentals of this process have the potential to bring about the change they are seeking for the Mission. This is what prompted the initiation of a pan-India capability building and organisational adoption of Design Thinking. For any organisation to transform, and a training to sustain, the change must grow from within. Keeping this in mind, in the engagement with TLM, TinkerLabs focused on not just the top-down approach of training the leaders with this methodology, but also helping to create and mentor a 6-member Design Thinking Cell within the organization, to help grow creative problem-solving approaches from the bottom-up. How do you train highly skilled and experienced doctors and educators in empathy and problem-solving? This was the challenge faced by us when we kick-started the capability building workshops with the many functional heads of TLMTI in Mumbai, which brought together all these senior professionals from all over the country. To break the ice of hierarchies and functions, the first exercise was about introducing themselves by sketching what reflects their personalities best. From describing oneself as a pencil, a missile, or a gardener nourishing a tree, all the senior leaders came together to start the day with human connections. The next step was to explain what Design Thinking means and get them engaged in solving a real-life challenge over the next two days. Guided empathy with low-income workers and daily-wagers around the workshop location, followed by structured synthesis, crazy creative ideation, and rapid prototyping led to some very relevant and heartfelt solutions to the problems identified for this user-group. 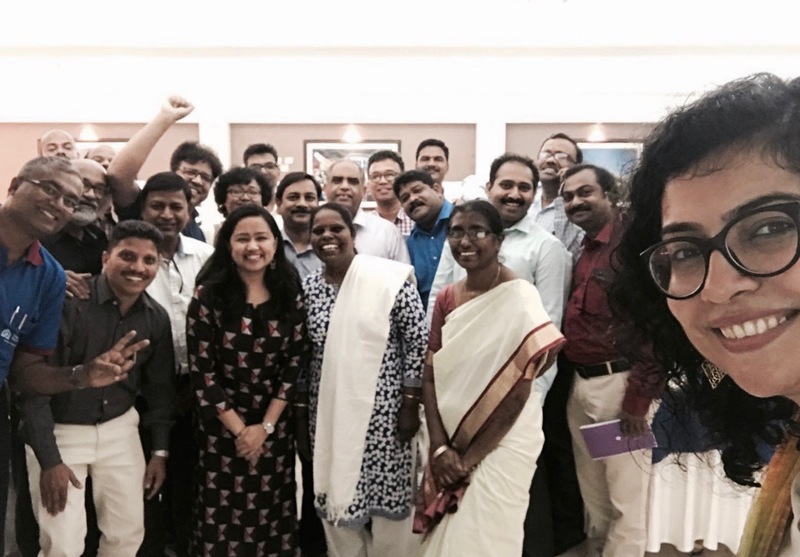 And engaging actively with the complete process helped these senior leaders (mostly doctors and function heads) achieve the seemingly impossible - give a new meaning to empathy and creative problem solving for Social Impact! This model was repeated for two more batches of TLM leaders from across the country - the Vocational Training Center principals, various project leads and the second-in-command at each location. Further, to ensure that the relevance of this process cascaded down to each member working with the mission, the TLM Design Thinking Cell was instituted at the central level, with an aim to empower each individual TLM unit with Design Thinking. What followed next was the induction and training of the 6 member Design Thinking trainers’ team, who went through the means, methods, tools and techniques of running similar workshops on-ground at TLM hospitals and Vocational Training Centres. TinkerLabs then guided them on-ground when they launched their first set of workshops at Vadathorasalur and Dayapuram units in Tamil Nadu. All we had to do was sow the seeds of Design Thinking with the right people in the manner they connect. And thus, began an organization-wide adaptation of Design Thinking for Social Impact and community problem-solving. Having had a first-hand experience of the process, each Hospital’s head and VTC principals are now more than keen to welcome the TLM Design Thinking Cell into their units and start solving problems and challenges through the Design Thinking process. It was exciting to see when participants, especially hospital heads and VTC principals, with over 30-40 years of experience serving the community, engaged with this new process with unparalleled eagerness and enthusiasm to bring use the Design Thinking framework at every stage. And to top it all, for an organization that starts each day with a prayer and ends every achievement with a Thank You to the Lord, it came as a pleasant and a heart-warming surprise when this thanksgiving included thanking the Lord for bringing Design Thinking to TLM through the two facilitators involved!